Gold was discovered south of Denver, stimulating the Pikes Peak Gold Rush. The first Anglo-European settlers arrived at the mouth of Boulder Canyon, breaching the borders of Arapaho territory as defined by the Fort Laramie Treaty. Chief Niwot granted the group the right to spend the winter and then leave, but the settlers did not honor that agreement to leave. Gold was discovered near Gold Hill, west of Boulder, and the Boulder City Town Company was formed on February 10 and Boulder became a supply base for the miners. The town grew to a population of 343 by 1870, with these settlers defying the terms of the Fort Laramie Treaty. The first irrigation ditch in Boulder County was dug, and coal was discovered in the Marshall area southeast of Boulder. Congress voted to create the new Colorado Territory. The admission of new territories was a contentious issue in Congress until the Civil War, which cleared the way for the admission of the free Colorado Territory. 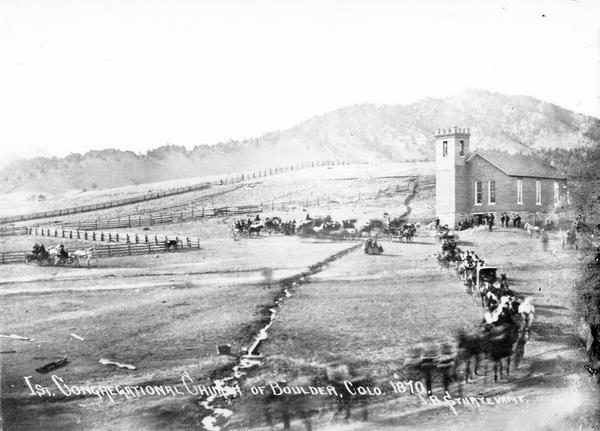 The Congregational Church began to build and move to 11th and Pine Street, at the site of what is now the Carnegie Library, next door to the Museum of Boulder. The hillside spot was chosen so that the bell tower (the County’s first) would be visible to residents for miles around. Chief Niwot and an estimated 70–500 Native Americans, about two-thirds of whom were women and children, died at the hands of Colorado troops, including officers and men from Boulder, at the Sand Creek Massacre. Colorado became the 38th state on August 1. Known as the Centennial State, it was incorporated 100 years after the signing of the Declaration of Independence. The University of Colorado opened on land donated by prominent residents. 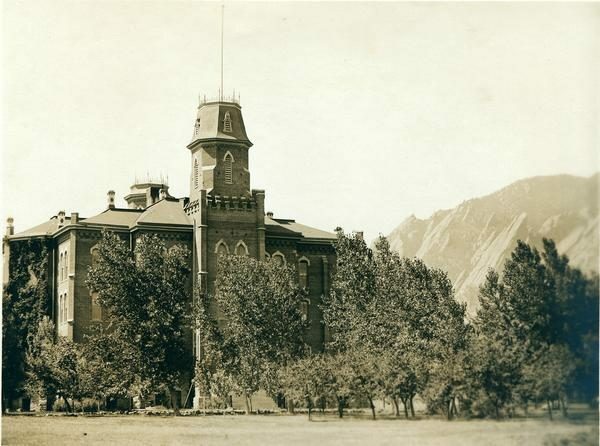 CU’s first graduating class consisted of men in 1882 and the only building on campus was Old Main. 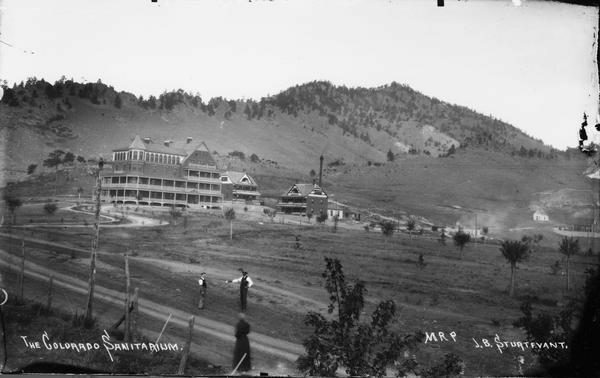 State Preparatory School (later Boulder High) was founded as part of University because of a lack of adequately prepared high school graduates. 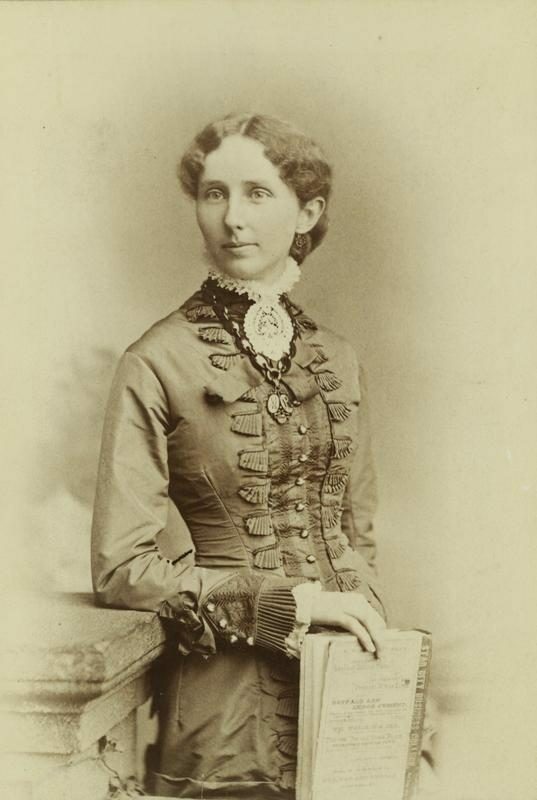 Mary Rippon was appointed first woman professor at CU, making her the first female to teach at a state university in the country. 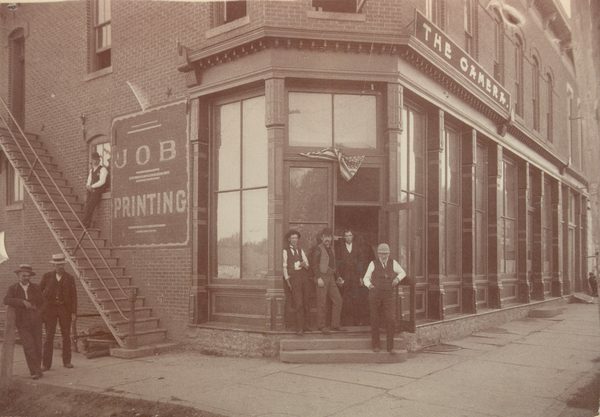 The Boulder Camera was founded to cover local news and became a daily the next year. Still in publication, today it is known as the Daily Camera. Women in Colorado won the right to vote, 26 years before the passage of the 19th Amendment, due to a powerful statewide organizing effort in advance of the popular referendum. 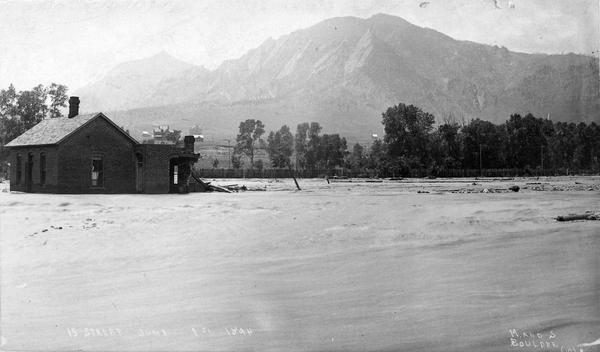 Sixty straight hours of warm Spring rain combined with a rapid snowmelt to create a 100-year flood that ravaged Boulder. The floodwaters covered most of the town, inundating much of downtown, destroying buildings and bridges. Boulder was split in two as transportation and communication services were knocked out. Reconstruction began soon after the flood but proved an arduous process. The Colorado Sanitarium, a branch of Dr. J.H. 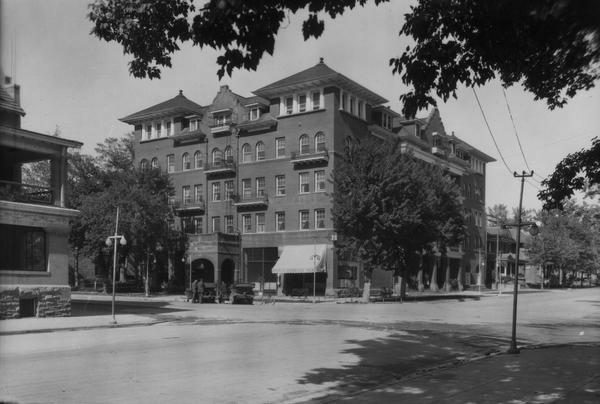 Kellogg’s Battle Creek Sanitarium in Michigan, was dedicated in Boulder, originally to combat tuberculosis in Boulder’s dry climate and high altitude. 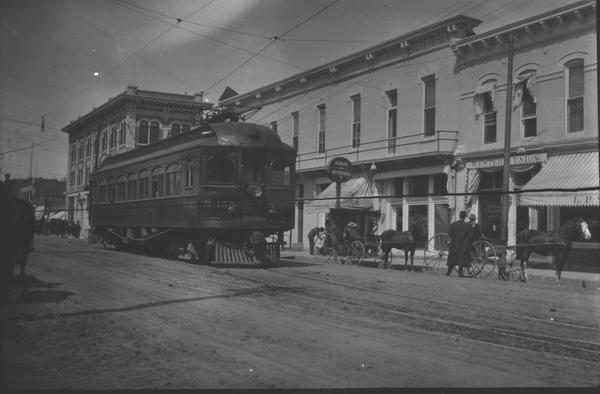 The Colorado & Northwestern Railroad route between Boulder and Ward was named “The Switzerland Trail of America”. It operated until 1919. Boulderites approved a $20,000 bond election for the Texas-Chautauqua Auditorium. 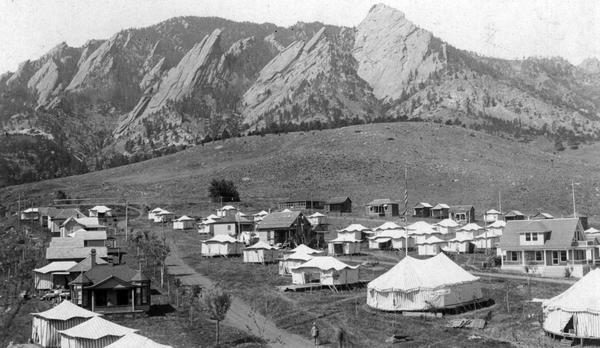 Now the Colorado Chautauqua, it hosts lectures, live music, and silent films, and includes the Chautauqua Dining Hall and short-term lodging at the base of the Flatirons. It was designated a National Historic Landmark in 2006. Boulder’s request for 1,800 acres of mountain backdrop/watershed extending from South Boulder Creek to Sunshine Canyon was approved by Congress. Tungsten was discovered in the mountains west of Boulder. The ore’s value soared, especially when the country’s entry into World War I greatly increased demand. By that time Boulder County was the world’s leading producer of tungsten ore. The Boulder oil field was discovered on what is now the Diagonal Highway near the Airport. It was the first field in what is now a vast oil & gas producing area, the Denver-Julesburg basin. City ordinance made it “unlawful for any person to ride or drive within Boulder at a rate of speed in excess of 6 miles per hour”. The Carnegie Library was built with money donated by steel tycoon Andrew Carnegie in response to a request from local organizer Clara Savory. 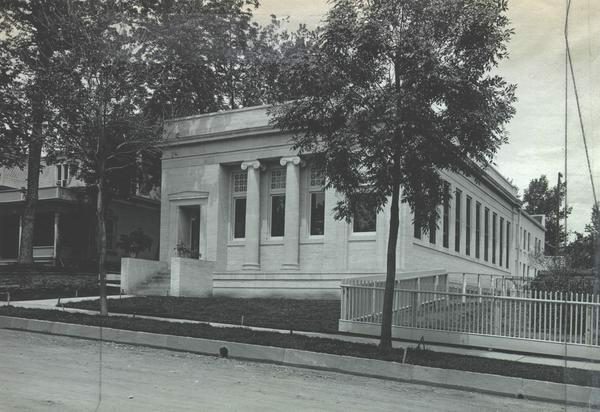 Located at 1125 Pine Street, the building was modeled after Greek architecture, reflecting Boulderites’ opinion of their town as the “Athens of the West.” It is now he Carnegie Branch Library for Local History, housing the collections of the Boulder Historical and Genealogical societies. 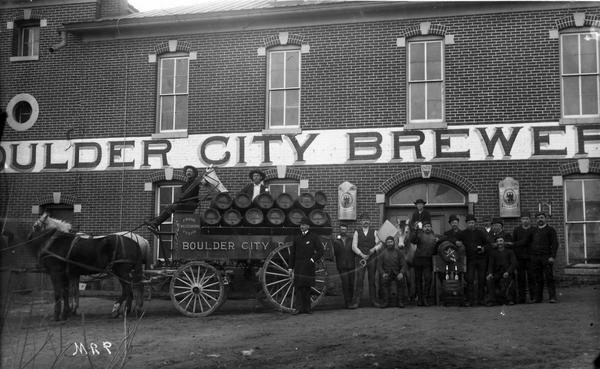 Boulder passed an anti-saloon ordinance, due to a powerful female-led Prohibition Movement. The City did not officially overturn this measure until 1967, although 3.2% beer was legal beginning with the end of Federal Prohibition in 1933. 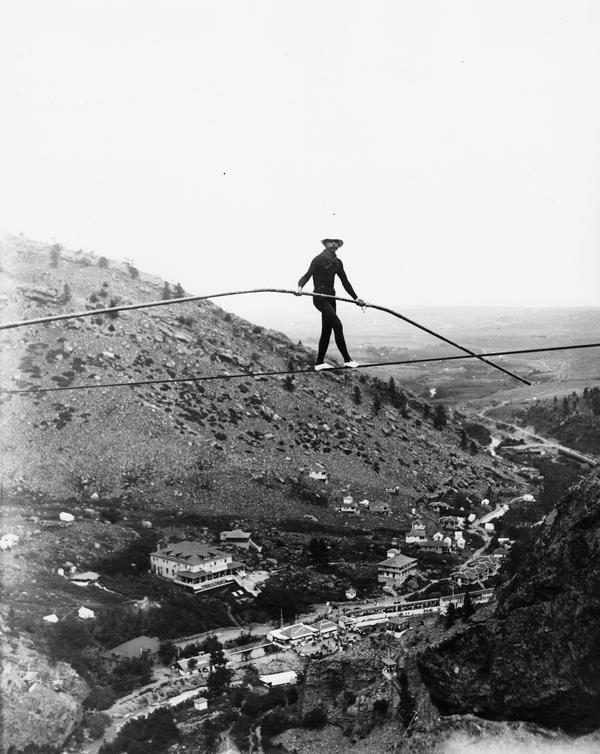 Ivy Baldwin made a record-breaking high wire walk on a cable stretched 565 feet high across Eldorado Springs canyon. Now, rock climbers from around the world are drawn to Eldorado Springs, the Flatirons and Boulder Canyon. Many of the country’s greatest climbers call Boulder home. The Boulderado Hotel opened for business on New Year’s Day. The city’s first luxury hotel, it is still welcoming guests in an elegant, historic setting. 3,000 coal miners in Boulder County went on a strike that lasted five years. I consent to Museum Of Boulder collecting my details through this form.